Having built our buisness up over the past 20 years we aim to deliver you an affordfable and efficient skip hire and waste transfer service in Benfleet and the surrounding Essex area. Whether you need a 2 yard skip after a weekend of gardening or a 40 yard roll on/roll off skip for major building projects we ensure the same quality service and care is taken. Give us a call on 01268 565629 or you can hire a skip direct from our website. 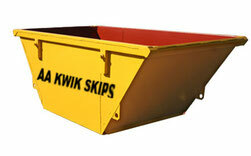 Hire your skip now. Ashingdon, Basildon, Benfleet, Billericay, Brentwood, Burnham, Canvey Island, Chalkwell, Chelmsford, Corringham, Eastwood, East Hanningfield, Grays, Great Wakering, Hadleigh, Hawkwell, Hatfield Peveral, Hockley, Hordon-on-Hill, Hullbridge, Hutton, Laindon, Leigh-on-Sea, Orsett, Pitsea, Purfleet, Rayleigh, Rochford, Shenfield, Shoeburyness, Southend-on-Sea, South Woodham Ferrers, Stanford, South Ockendon, Thundersley, Thorpe Bay, Westcliff-on-Sea, West Hanningfield, West Horndon, Wickford and the surrounding areas. Please call us on 01268 565629 for further details.